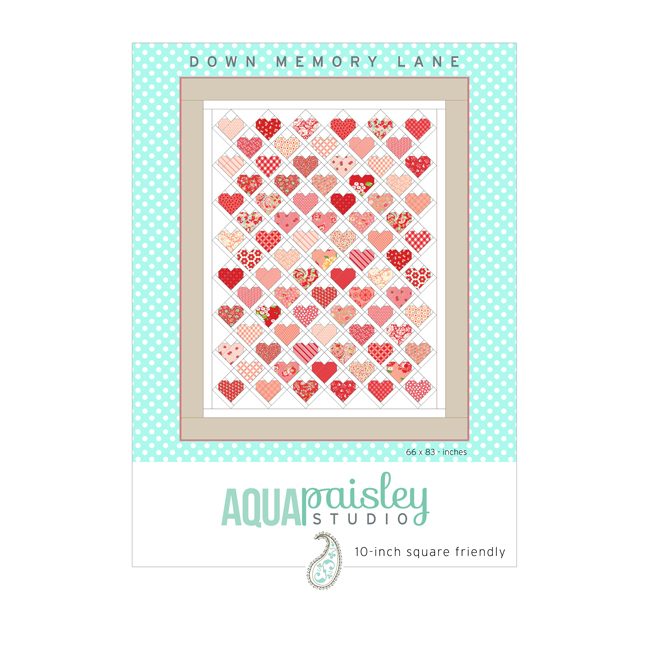 It’s a little sad to say, but today is the last day of the Down Memory Lane Quilt-Along for 2018 :(. Sharing this quilting journey with you has been such a joy! 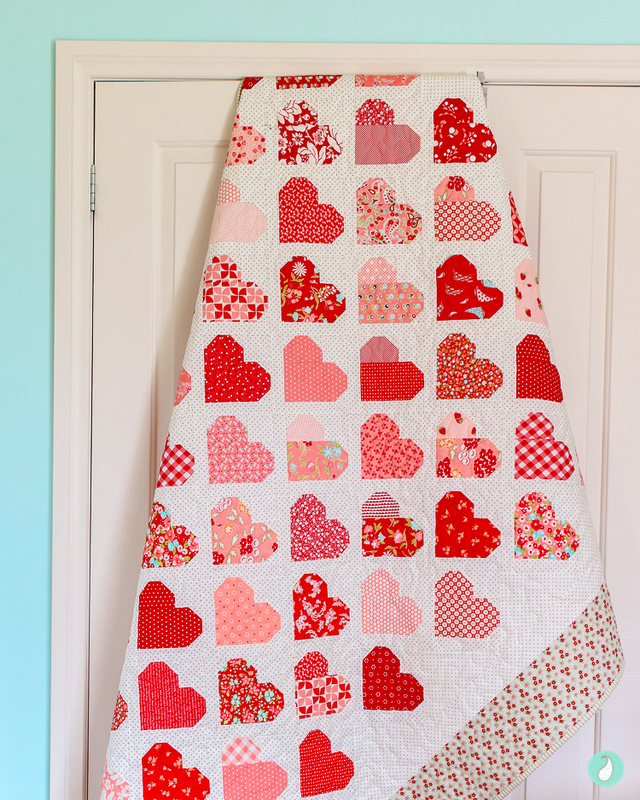 If you have been keeping to the quilt-along schedule, your quilt top should be complete. You may even be on your way to completing your quilt! Happily, I can say my quilt is now quilted and bound, and is ready to be put to good use :). 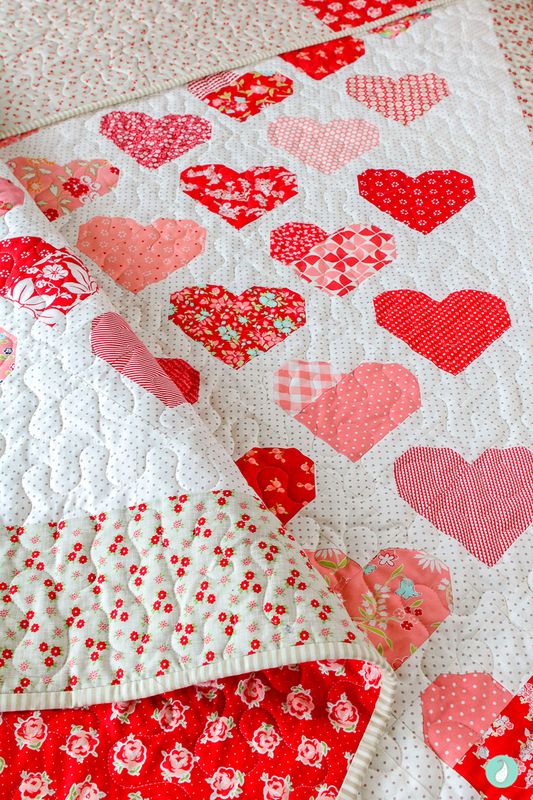 I particularly enjoyed rummaging through my fabric scraps when preparing to make this quilt. 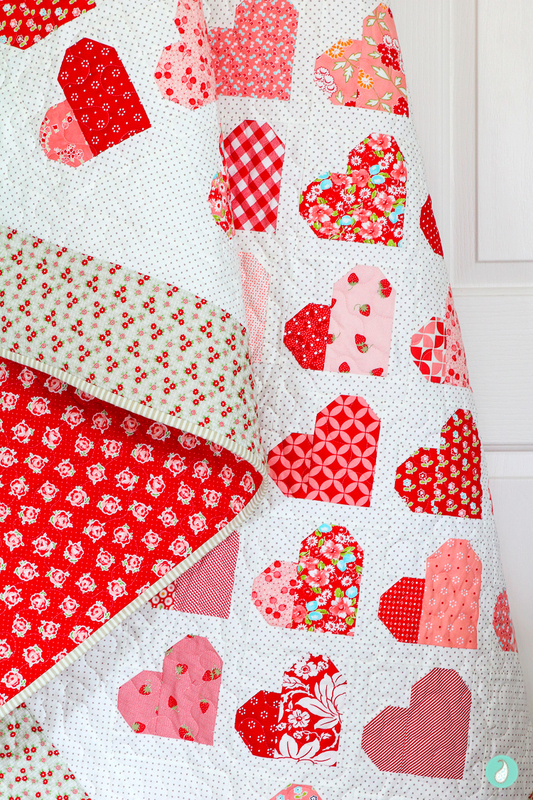 While the pattern suggest the use of a layer cake, the pieces required are small enough that the quilt is a great candidate for scrap fabric. 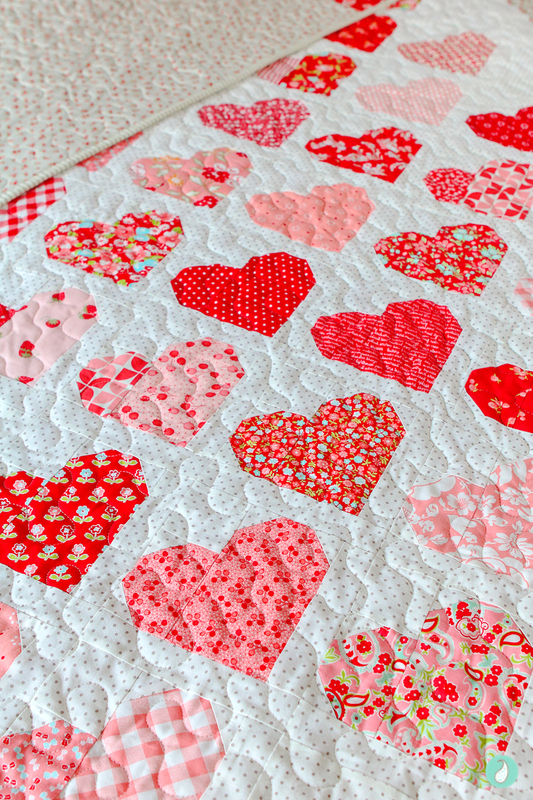 These hearts became the perfect showcase for some of my favourite red and pink fabrics. As a general rule, I am notorious for overthinking my fabric selection and placement. However, for this quilt, I decided to just have fun and embrace a truly random layout. In the end, the overall contrast could have been dispersed a little more evenly, yet the unpredictability gives the quilt a quirky handmade feel that seems quite fitting. Quite possibly my favourite element to the quilt is the border, backing and binding combination. 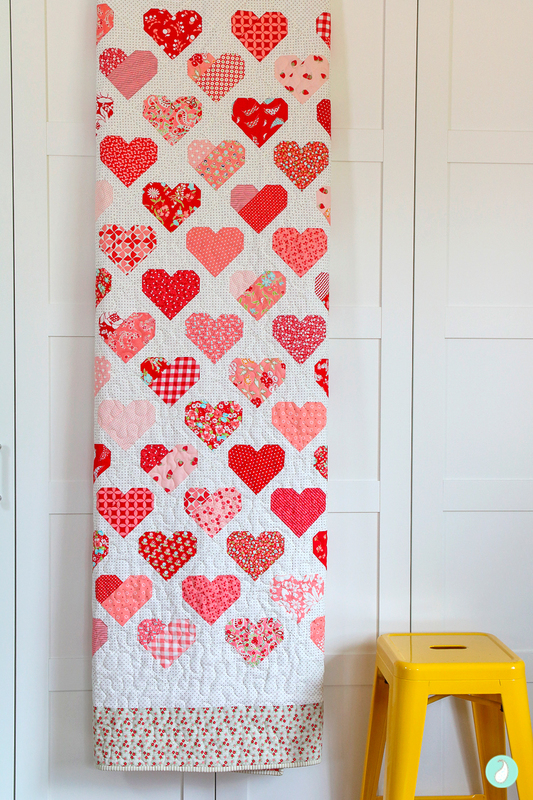 While the red pieces on the back give the quilt a striking hit of colour, the neutral border and binding give the quilt a calming feel that immediately softens the overall design. This pattern is such a pleasure to sew! There are no points to tackle and very few seams to match. It’s quick and easy, and all the seams nest together to make assembly a breeze. I’ve enjoyed every minute revisiting this pattern :). Finished Size: Single/Twin Size – 66″ x 83″. Feature Fabric: Various reds and pinks from past Bonnie and Camille collections. Background: Swiss Dots Gray on Cream Dots Yardage C600-40 by Riley Blake Designs. Quilting: All over meander. Natural coloured thread. 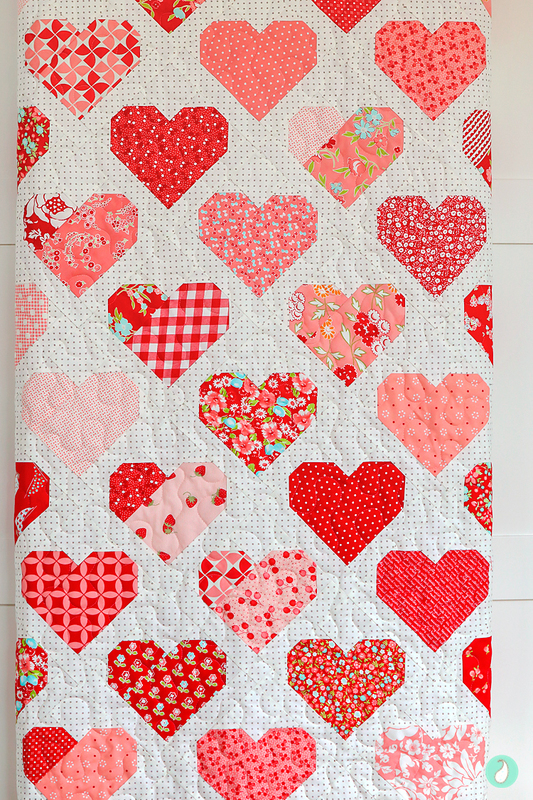 Pieced Backing: Bonnie & Camille Little Ruby 55131-15 & Smitten Red Lovely Yardage 55177-11. Thank you to everyone who participated in the quilt-along! 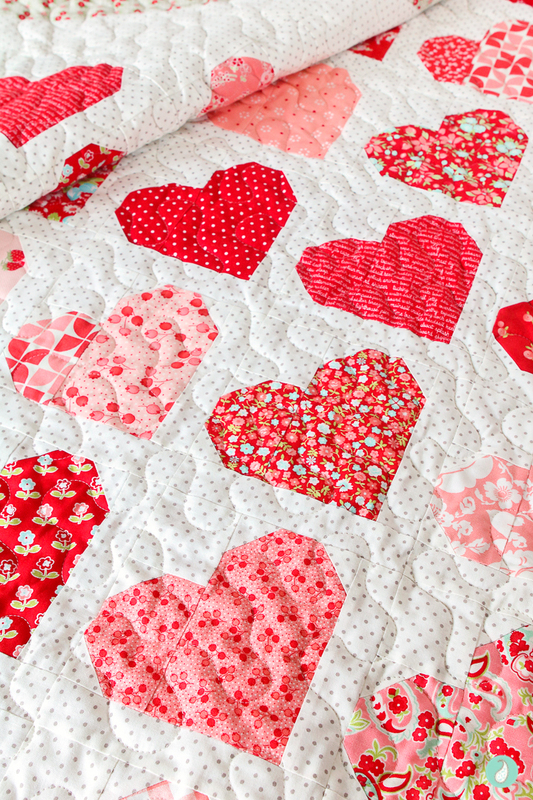 If you are contemplating making your own Down Memory Lane quilt – what are you waiting for? You can purchase a copy of the PDF pattern and download it immediately from here (AU, NZ, US & CN) or here (EVERYONE ELSE). 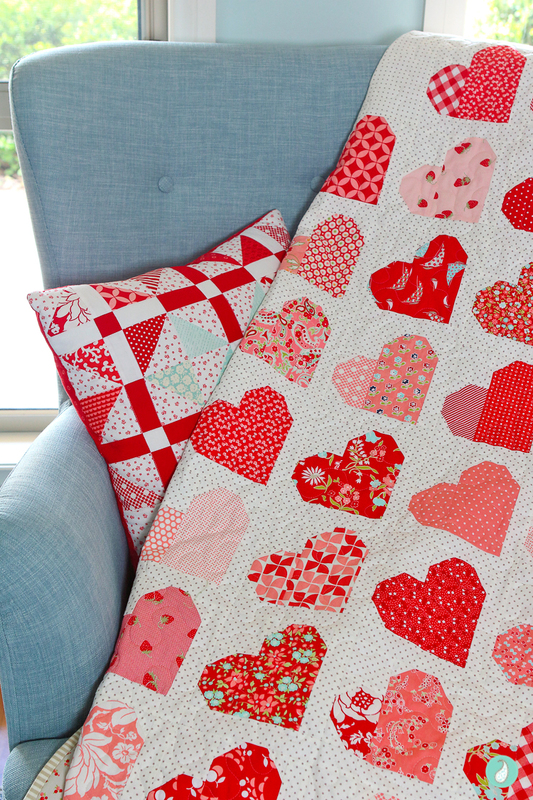 I have really enjoyed making this quilt and your tips each week were extremely helpful! Thank you for sharing your expertise.